International Mountain Day is one of he UN international observances, that is annually celebrated on December 11. This observance was created in 2003. The history of this observance begins back in 2002. That year was declared to be International Mountain Year, that would promote the importance of sustainable development of mountains. When all events and activities organized during the year were summed up, the United Nations General Assembly decided to declare December 11 to be International Mountain Day. Observance of this day calls on international communities and organizations to hold and promote the events, that raise public awareness about the importance of mountain development. Numerous organizations specializing in the issues of the sustainable development of the mountains should be actively involved. 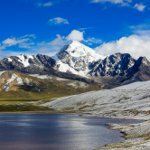 Every year Food and Agriculture Organization of the United Nations chooses the appropriate theme to organize the events and raise public awareness about the importance of mountains to life. The themes of the previous years covered the issues of climate, mountain tourism, food supplies, natural disaster etc.